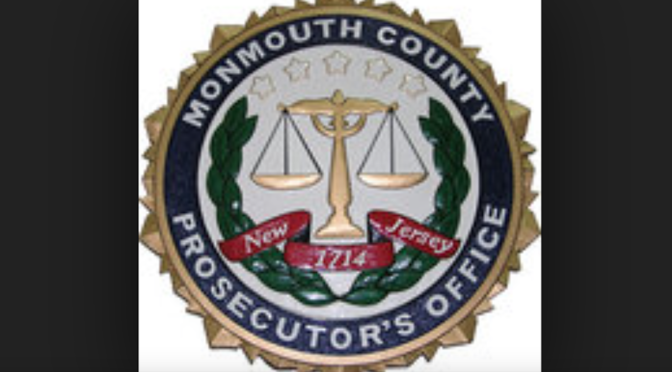 A man has been arrested in connection with a stabbing Tuesday morning in Long Branch, Monmouth County Prosecutor Christopher J. Gramiccioni said on Wednesday. Michael Smith, 43, of Brick, is charged with first-degree attempted murder, two counts of second-degree unlawful possession of a weapon, and two counts of second-degree possession of a weapon for an unlawful purpose, in connection with the stabbing of a 34-year-old Brick Township woman. A joint investigation by the Monmouth County Prosecutor’s Office and the Long Branch Police Department revealed that on Feb. 5 at 9:39 a.m., Long Branch Police Officer Robert Korn responded to a stabbing incident. When Officer Korn arrived, he observed the suspect, Michael Smith, swinging and grabbing at the victim, who was lying on the ground. Korn was able to pull Smith off of the victim and place him under arrest. Smith was armed with two knives during the assault and had stabbed the victim multiple times in the chest and head. The victim was taken to the hospital where she is listed in stable condition. If convicted of attempted murder, Smith faces 20 years in a New Jersey state prison without parole. Both the murder and attempted murder charges are subject to the provisions of the No Early Release Act (NERA), requiring him to serve 85 percent of the sentence imposed before becoming eligible for release on parole. He would also be under parole supervision for five years following his release from state prison. If convicted of the second-degree weapons offenses, Smith faces a sentence up to 10 years in prison on each charge. Smith is scheduled to have his initial appearance on Feb. 11 in Superior Court with a detention hearing to immediately follow. RFH baseball season just wouldn’t be celebrated properly without a look back at a popular coach like Hal Lorme. Well, it’s that classic Easter egg hunt time of the year. There have been many over the years and this past weekend in the R-FH area. In Fair Haven, officials call it the quickest event of the year, usually lasting a mad rush few minutes, if not seconds. In Rumson, the hunts have lasted a bit longer, with age groups and the Victory Park scenario. Yet, there’s usually always a few stumbles and tears when grasping for that prized egg. In Sea Bright, kids are beached with a hunt. And there are bound to be more egg hunts over the Easter weekend in many a back yard or living room, depending on family tradition. The home hunt offers a bit more time and less competition for those eggs — or whatever. Subscribe to Rumson-Fair Haven Retrospect via email. Enter your email address to subscribe to Rumson-Fair Haven Retrospect and receive notifications of the latest news, features and photo galleries by email.